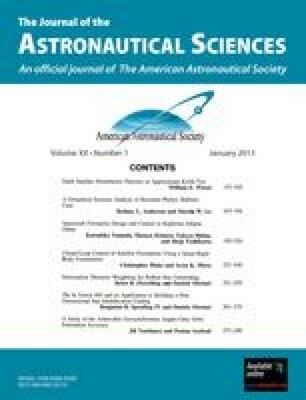 This analysis investigates the geosynchronous orbit estimation accuracy that can be achieved given short-term dedicated tracking by a single ground-based optical sensor. Two Global Positioning System (GPS) Wide Area Augmentation System (WAAS) satellites are chosen for this case study because highly-accurate WAAS reference position and velocity point solutions are available for public use and present the opportunity to experimentally assess the effect of orbit perturbations to the meter level. Simulated optical (angles-only) observations are generated from these experimental reference ephemerides. By varying the tracking parameters of nightly tracking arc length, sampling rate, and orbit epoch, and fitting to two consecutive days of observations, a batch estimation analysis is performed that characterizes the expected level of two-day solution accuracy given an imperfect dynamic model and a satellite which is performing small, frequent maneuvers. The results show that the estimated solution fits over the two-day period to better than 10 meters. An analysis of one month of data for an uncontrolled satellite is performed to statistically determine the solution uncertainty and mean accuracy. It is shown that 10-meter accuracy is possible given short sampling intervals (10 to 30 seconds) and long nightly track lengths (three or more hours per night). Several tracking scenarios are found to meet accuracy requirements on the order of 10 to 100 meters. AGAPOV, V., MOLOTOV, I., and TITENKO, V. “The ISON International Observations Network—Latest Scientific Achievement and the Future Works,” http://lfvn.astronomer.ru/report/0000037/001/index.htm, February 2008. Federal Aviation Administration, “Welcome to the William J. Hughes Technical Center WAAS Test Team,” http://www.nstb.tc.faa.gov/index.htm, January 2010. Space News, “Orbital Blames Galaxy 15 Failure on Solar Storm,” http://www.spacenews.com/satellitetelecom/, April 2010. Space Now, “Zombiesat Has Three More Satellites in its Crosshairs,” http://www.spaceflightnow.com/news/n1007/25galaxy15/, July 2010. C. News, “Zombie Satellite to do Another Flyby,” http://www.cbc.ca/technology/story/2010/11/04/zombie-satellite-flyby.html, November 2010. Space.com, “‘Zombie’ Satellite Comes Back to Life,” http://www.space.com/9677, December 29 2010. Boeing, “Boeing: Satellite Development Center,” www.boeing.com/defense-space/space/bss/factsheets, October 2010. Orbital, “Galaxy 12, 14 and 15 Fact Sheet,” http://www.orbital.com/NewsInfo/Publications/, 2010.